Run away to the Circus this Holiday Season with this Family Classic. Performed with Live Music. Run away with the circus to Sarasota this December with John Ringling's Circus Nutcracker. Continuing Sarasota's circus tradition and bringing the spirit of the holidays to all, this family friendly ballet will enchant audiences of all ages. Set to Tchaikovsky's iconic and beloved score, the ballet entwines the history of John and Mable Ringling with E. T. A. Hoffman's classic The Nutcracker. Whether it is watching the Arabian animal tamers with their exotic elephant and harem of wild cats or Clara and the Nutcracker battling the Mouse King in the lobby of a New York hotel, this is a Nutcracker like no other. With designs by Peter Docherty, the ballet creates a loving tribute to the Ringling Brothers and the Greatest Show On Earth in a wonderful holiday family event. John Ringling's Circus Nutcracker was hailed by Carrie Seidman of the Herald Tribune as an "over-the-top" production that "works beautifully, giving a fresh injection of life to a more than century-old ballet." 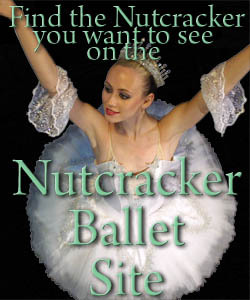 This is the only Nutcracker in Sarasota to be performed with a live music, with the Sarasota Orchestra accompanying the performance and conducted by Andrew Lane.